A marketing specialist working in Birmingham&apos;s commercial property sector has been named the city&apos;s Future Face 2018. 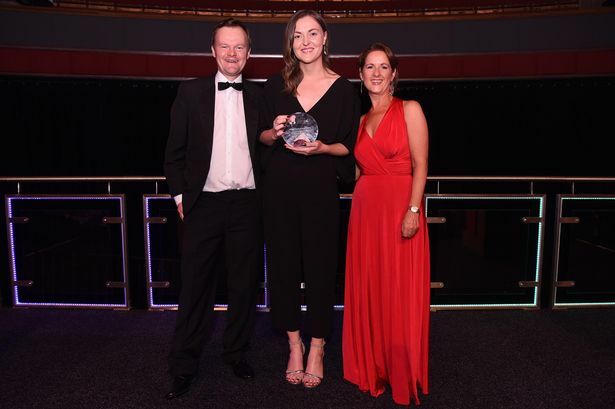 Rebecca Halbert was crowned overall winner at the fourth annual Future Faces Awards dinner last night which is run by the Greater Birmingham Chambers of Commerce. The awards celebrate the rising stars aged 35 and under from the Greater Birmingham business community. Ms Halbert, who is marketing manager for commercial property consultancy GVA, won the sales, marketing and communications award before being picked from the category winners to be crowned overall Future Face 2018. She has held a number of communications positions since completing her studies at Nottingham Trent University, including as a fundraising communications officer for charity Parkinson&apos;s UK in London and marketing manager at Millennium Point in Birmingham. This year&apos;s awards also featured a new category to celebrate the third sector to reflect the growing reputation of the work being done in the region. A special ambassador award was given on the night to Jaccy Gascoyne, a financial crime investigator with Deutsche Bank in Birmingham, for being an outstanding advocate for the chamber over the past year. The awards ceremony was held at Symphony Hall in Birmingham and welcomed around 450 guests to the black tie dinner.